The strong fundamentals of the US economy are starting to show more than a chink in it’s armor, while the PBOC’s recent efforts have done little to stem the recent slump in Chinese data. The US continues to post robust employment figures, but the rest of the economy is telling a different story. Earlier this morning, the ADP employment report showed private payrolls increased by 271,000, the best increase in almost 2 years. Tomorrow the Non-Farm Payroll is expected to show 180,000 jobs were created in December, up from 155,000 printed in November. After the New York open, the ISM Manufacturing reading for December dropped to 54.1, the biggest fall since October 2008. US stocks fell sharply lower today and Treasuries continued to rally on both the disappointing data and key warning from Apple. China has been printing terrible data over the past month and if the trade war does not see more positive steps, the data should deteriorate further. The PBOC began the year by increasing lending to small-medium enterprises (SMEs), basically expanding the criteria of a previously announced RRR cut. The move could increase liquidity by up to CNY400 billion. On the December 21st Work Conference, China’s decision to drop the “neutral” description of its monetary settings signaled adjustments in policy measures could be marginal. China may have to abandon the wait and see approach with trade negotiations and monetary policy. Expectations should also increase for a RRR cut early this quarter from the PBOC. When talking about the US, the focus will first fall on President Trump and at a close second is the Fed. The President will need a win and the motivation to put the trade war behind him will be needed for him to have a chance in 2020. The government shutdown is also an issue that he may need to take some concessions on the border wall, in order to move forward and focus on an infra-structure deal. A key focus for Wall Street is Fed Chair Powell’s stance of Quantitative Tightening (QT) being on auto-pilot. Today Fed’s Kaplan, who will not be a voting member until 2020, provided a willingness to be open-minded about adjusting the Fed’s balance sheet runoff if needed. Wall Street liked that comment and did provide a limited and short-lived bounce. Kaplan, who is a dove, also supports the idea of pausing the tightening cycle until global uncertainties are resolved. The markets will need to hear caution on the domestic economy due to global uncertainties directly from Fed Chair Powell and that the balance sheet runoff is not on auto-pilot. Powell will be speaking on Friday, January 4th at the American Economic Association’s Annual Meeting alongside former Fed Chairs Yellen and Bernanke. The market is no longer pricing rate increases in 2019, but possibly a cut in December now. At the December meeting they lowered 2019 rate hike increases from three to two, but will not address this until the March meeting. 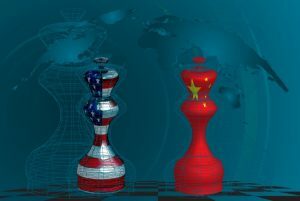 Expectations are growing for both China and the US to become more constructive on trade and accommodative.